Last week а rumor about Huawei launching a Red and Blue variants of the Mate 20 Pro popped up. We speculated that the phone might be scheduled for the Chinese New Year on February 5, but today the company revealed it would be available for pre-order starting Thursday, January 10. The device is listed at Vmall, Huawei’s online store, and the price will remain unchanged for both colors. The Red and Comet Blue Huawei Mate 20 Pro will be available only in China initially, but we expect the new hues to appear on the global scene as well. 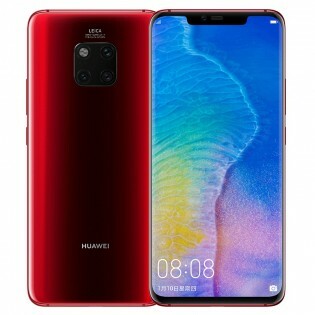 Hopefully, Huawei will follow suit with the new Red and Blue variants, as well as the already available Cherry Pink phone. Both versions will have the same price tag of CNY5,999 ($875/€765) for the 8/128 GB memory combo and CNY6,799 ($990/€870) for the 8/256 GB, with the 6 GB RAM being greyed out at Vmall. still waiting.. no sign of it hitting the store yet unfortunately.. So you don't care about the look of the phone?